Sens. 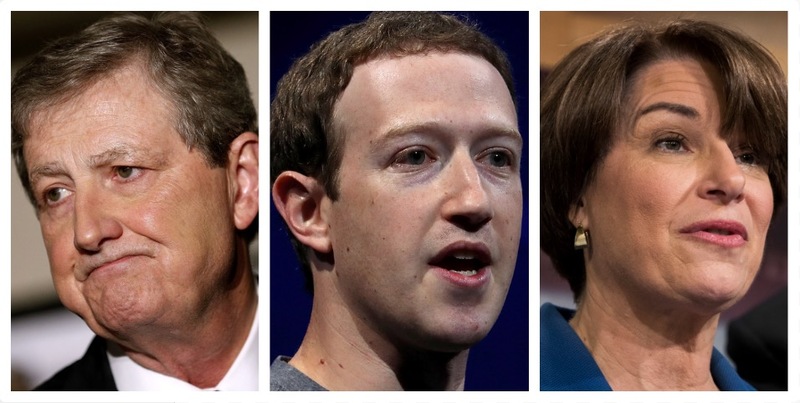 John Kennedy and Amy Klobuchar sent a letter to Senate Judiciary chairman Chuck Grassley Monday, urging him to call Facebook CEO Mark Zuckerberg to testify in regard to new reports of his company allowing political campaigns unmonitored access to user data. The first reports of misbehavior on Facebook’s part came Friday, when the company announced it had severed ties with Cambridge-Analytica, a Steve Bannon-helmed firm employed by the Trump campaign during the run-up to the election. Facebook was heartily criticized for not checking that Cambridge-Analytica had deleted information obtained on 50 million users and was able to access that information throughout the entirety of the campaign. Facebook’s stock plummeted at when the markets opened on Monday, falling nearly 6 percent just a few hours after the opening bell.